Renaud's Patisserie is the fulfillment of a life-long dream, that of creating refined pastries from the best ingredients available. Renaud’s Bistro offers an extensive breakfast and lunch menu inspired from the Provence region of France, and Chef Renaud Gonthier’s personal favorites. Renaud’s retail selection includes imported delicacies, homemade cookies and candies, and fresh fruit preserves. The company’s signature line of cakes are available for pre-order or same-day purchase at any of Renaud’s five locations in Southern California. Orders may be placed by phone or on our website. Renaud's Patisserie & Bistro, incorporated in 2008 as Renaud's Bakery and Bistro, Inc., is a Southern California bakery and restaurant. 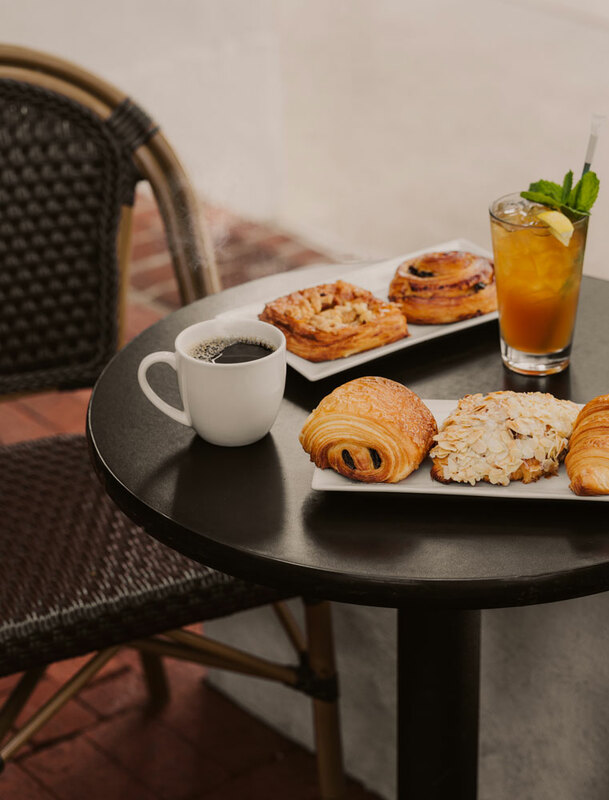 Renaud and Nicole Gonthier founded Renaud's Patisserie in anticipation of Santa Barbara's desire for (and previous lack of) a quality French pastry and croissant venue.